Updated calendar, orientation info, enrollment reminders, and more inside! The office will follow up with families who do not have complete files. Also, please remember that the first tuition payment of the year for families on monthly payment plans was due on August 1st, with the second payment coming up on September 1st. For Parent/Toddler and Me & My Baby families, fall session tuition must be paid before class begins. As always, if you have questions about your student's file, please contact me. All financial/billing questions should be sent to Pam. Thank you, and looking forward to seeing you all soon! Bring your picnic dinner, blanket/chairs and electric or propane lanterns, as we will end in the dark. Free Admission | Suggested Donation is $20 / family to help cover the cost of the location reservation. Are you ready for Orientation - with your child's earthquake kit?? Our administrative team, teachers and Board continue to be busy planning for the new school year! Please mark your calendars with these important dates and see our yearly calendar above (click for bigger version). Also, please note that attendance at Orientation is required for at least one parent/caregiver of every student, and that Maple Village will not be providing childcare. Additionally, your child’s new earthquake kit will be collected on your Orientation evening (Parent/Toddler students exempt). On Sunday, July 29th, lightning struck Meadowbrook Waldorf School and started a devastating fire. 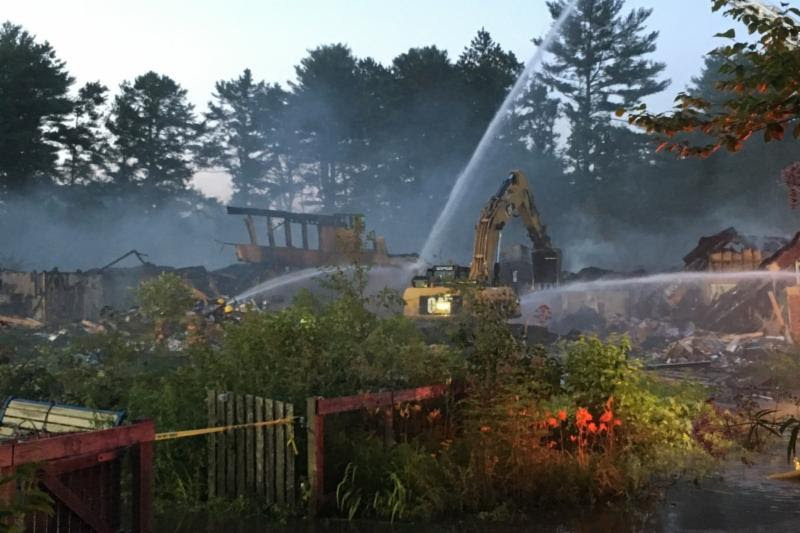 Despite the efforts of more than 250 fire fighters, the building that was home to students in the nursery through grade 8 and many alumni from years past is now a total loss. Now each new day brings to awareness the enormity of what has happened, and the many needs that arise as a result of the fire. The faculty plans to reopen in September in a new rented location, and their positive attitude amd focus on the future is inspiring; they are very aware that a school is much more than a physical building. Silk Marionettes for ‘Spindlewood’ (for our Martinmas in November); medium sized: 1 girl, 1 old gnome, 1 mother earth. Meadowbrook parent Peggy Bogus at pegbogus@gmail.com is now trying to coordinate items donated for the early childhood classrooms. At moments like this, our invisible community becomes quite visible and is an enormous source of support, for which the teachers at Meadowbrook already send their thanks.